Primary amides can be converted to nitriles with a dehydrating reagent such as P2O5. Amides can be converted into nitriles using phosphorus pentoxide, P2O5. This is a strong dehydrating agent which will remove water (H2O) from amide to form nitrile. For dehydration, it can be also used phosphorus oxychloride, POCl3. The reaction begins with the attack of the oxygen because oxygen is more nucleophilic than nitrogen in an amide. This will be obvious when drawing the resonance structures. The nitrogen pushes these lone pairs onto nitrogen-carbon bond and the π bond break. Therefore, nitrogen has a positive formal charge, and oxygen has a negative formal charge. In the resulting compound, the oxygen has a negative charge and function as a nucleophile. It removes hydrogen bonded to the nitrogen and these electrons return back to nitrogen. 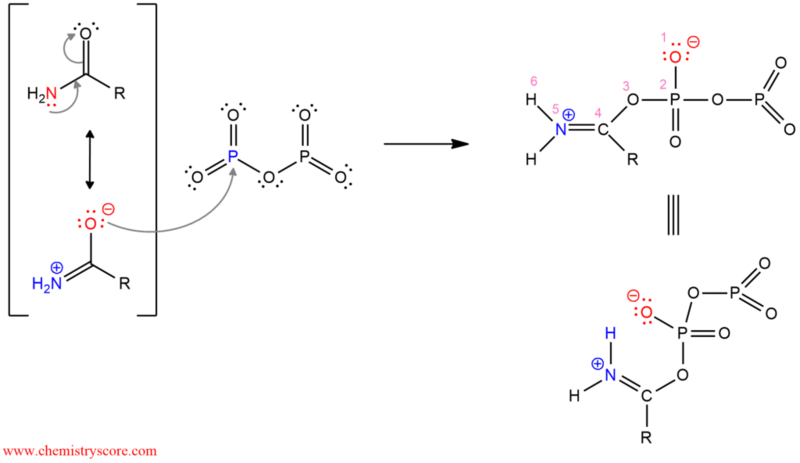 This is possible because of this intermediate forms a six-membered cyclic transition state. Then, a lone pair of nitrogen will form a triple bond and expel a leaving group. The negatively charged oxygen from by-product will remove the remaining proton and form the final product – nitrile. By dehydration of by-product is regenerated starting compound and gives phosphorus pentoxide, P2O5.